Here are 6 of my favorite books for building more confidence and self-esteem. They have been just as helpful to my health and fitness as they have been to my mind. It’s a pretty scary thing to take on a new fitness or nutrition plan, especially when you are just starting. It’s really easy to let self-doubt creep in and rule your mind, telling you you’re not ready for this, that you can’t do it, or that it will just be too dang hard. Get your mind in shape before getting your body in shape. What helped me the most during this experience was filling my mind with positivity from books. It didn’t matter what shape my body was in – what mattered more was what shape my mind was in. My brain needed to be trained just like any other muscle in my body, because that was going to keep me going every day. A strong mindset was going to help me get started, and then keep me from quitting. Fill Your Mind with Positivity from Books! Here’s the truth…At first, I thought this whole thing was cheesy, and just for people who really had ‘problems’. But…it didn’t take long to realize that I was starting to soak up the empowerment and confidence from the books I was reading every day. Just 10 pages of a book – every day – was enough to retrain my brain to think more positively and improve my confidence. I started to realize I CAN do these things that seem impossible. My biggest piece of advice is to go into this with an open mind – I’m going to suggest some of my favorite books below. I encourage you to give them a try and find what works for you. If you love reading, start with a book that looks good to you. If you hate reading, look for a good podcast to listen to while you are driving or at night before you go to bed. Stay consistent – read or listen for 10 minutes in the morning or at night, and you’ll be amazed at how your outlook starts to change. 1. 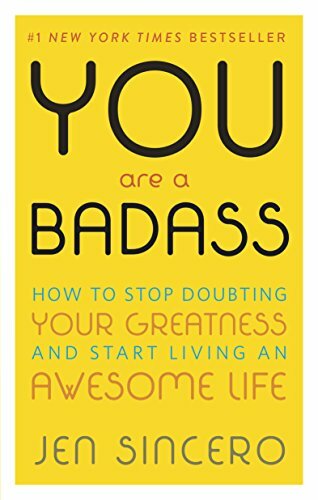 You are a Badass by Jen Sincero (because you know you are! ;) - This is the first personal growth book I read, and it was the perfect pick because it made me realize that whatever I believe in my mind will become my reality. 2. 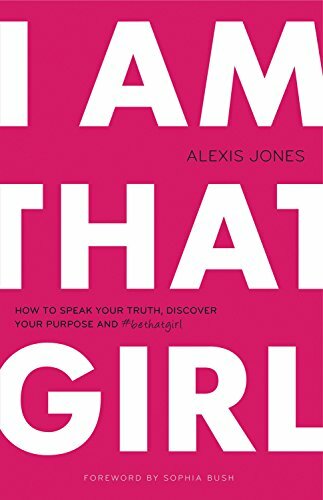 I Am That Girl by Alexis Jones - This book shares experiences from different women in different businesses who tell their stories of how their lives have grown through struggle. 3. 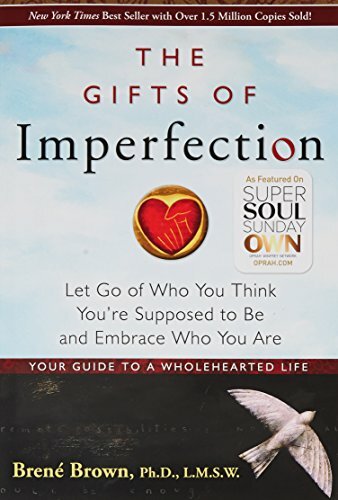 The Gifts of Imperfection by Brene Brown – While reading this, it became clear to me that no one is perfect, and that what makes us great is embracing our imperfections and letting them help us, rather than hurt us. 4. 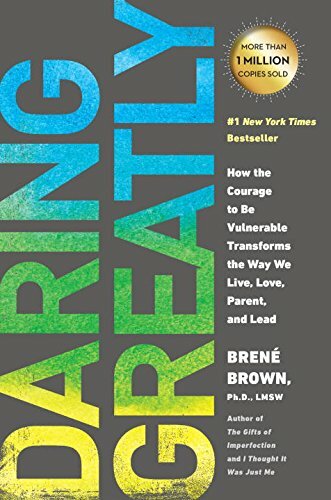 Daring Greatly by Brene Brown – I am in the middle of reading this right now, and it has made me realize that allowing yourself to be vulnerable will actually lead you to being stronger. 5. Failing Forward by John Maxwell – This book put an entirely new spin on the idea of “failure”. Failing isn’t a bad thing and it certainly doesn’t define you as “a failure.” Instead, see it as an opportunity for growth. 6. 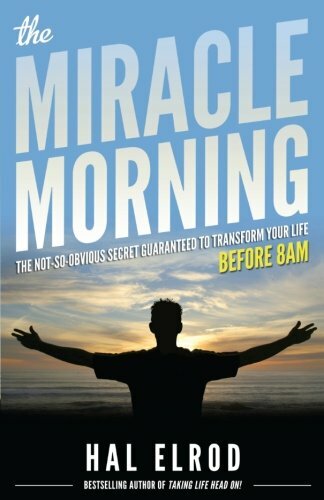 The Miracle Morning by Hal Elrod – I loved this book, because it gave me an easy framework for starting my morning off on a positive note. If you are looking for a better way to start your day, this book is filled with great ideas! These are just a handful of my favorites. I encourage you to check them out, and see what you relate to the most. If you’ve read any other favorites, please share them below! I would love to check them out. If you enjoyed this post and are also looking for more helpful information, fill out the form below to subscribe and receive my free Clean Eating Basics Checklist! Subscribe to our email newsletter to hear about new books we are reading, as well as other happy, healthy living tips. Thank You! Next, please check your email to confirm your subscription. Join Apostrophe S Coffee Chat, our online book community, to read together, connect with others, and get more out of your reading experience. I've spent a lot of time focusing on eating well and exercising to be healthy, happy and strong...but up until now, I never thought about what I really meant when I said it. It just meant "being healthy." The meaning became crystal clear last week, when I found a small breast lump during a self-exam. It's really easy to freak out in your mind and think the worst is about to happen. My heart started pounding, and I said to myself "please, no. I can't deal with this. Please don't do this to me right now." I made an appointment to visit the doctor, and up until my appointment, I told myself over and over every day "if there's ever a time that my healthy habits are going to help me, please make that time be now." I was able to clear my head and have faith that the lifestyle choices I have been making - eating well and exercising - were going to work in my favor. And thankfully, the lump ended up being nothing serious...but it hit me hard that I could so easily have walked out of that doctor's office with a very different situation in front of me. I'm not a health professional, but I know there are some factors, such as genetics, that are out of our control. But, I also know there are so many factors that we can control - such as the food we put into our bodies and the lifestyle choices we make every day. So, what did I do? I researched which foods have protective properties against cancer and other diseases. It turns out many of the foods we eat every day - especially leafy green vegetables, berries and brightly-colored produce, are very beneficial. I also learned that many diseases thrive on sugar, refined and processed foods. I did more research on Shakeology, the superfood shake I drink every day, and learned that most of the ingredients fight inflammation in the body, which is at the root of many diseases. So, now I know that every time I drink that shake, I am filling my body with disease-fighting nutrients. I now also know that committing to a regular exercise routine and maintaining a healthy weight helps with disease prevention. This isn't about perfection - but rather about the purpose behind the lifestyle choices we are making. Now I have a much deeper purpose behind why I make the choices that I do. It's not just to look good in a bikini or tank top in the summer, or to feel happier and less stressed. All of those things are great, but now I am being more proactive about my health and disease-prevention as much as I can. I really hope these choices help me in the long run. If you are looking for more information on how to get started eating clean, please fill out the form below to subscribe and receive my free Clean Eating Basics Checklist! In my previous posts, you’ve learned about the basics of Clean Eating, the types of foods to look for, and how to get started with a couple changes at a time. But…the question I always asked myself when I was getting started was “what do I do when I am away from home?” It’s easy to make healthy choices when you have a kitchen stocked with good food right in front of you. But when you’re away from home for most of the day? Not as easy. Here’s the secret…and it’s something I’ve been doing religiously for a couple years now. Always have your bag stocked with at least 2 healthy snacks. It’s not really that profound, but it’s something I never used to do, and then I was always left starving and searching for anything I could get my hands on when I was out and about. My husband actually chuckles at me, because I am always pulling random pieces of fruit out of my bag when we’re out. Once I started keeping at least 2 on the go snacks in my bag all the time, it was so much easier to avoid the temptation of vending machines or a drive thru with less than ideal choices, because I could pull an apple out of my bag and eat it wherever I was. 1. Piece of fruit and natural peanut butter – I love to pack an apple and small cup of natural peanut butter. You can even pre-slice the apple if you won’t have a knife to cut it with. Other great options are a banana and peanut butter, orange or small cup of any type of fruit you like. 3. Energy Balls – The options are endless with these also. I like to use peanut butter, oats, dark chocolate chips, seeds and dried cranberries in these as well. They are great stored in the freezer or fridge, and then I just pull out 2 and store them in a small Tupperware dish in my bag. 5. Yogurt parfait in a jar – I love to layer plain Greek yogurt, fresh berries, pure maple syrup or honey and granola in a jar. This is a great option if you have a fridge nearby to store it in - then you can just pull it out and eat it right out of the jar! 6. Fresh veggies and hummus – my favorites are sugar snap peas or small colored bell peppers with hummus. 7. Protein Bar – there are endless options here, but some of my favorites are Rx Bars, Lara Bars, Square Organics bars, and Kind bars. Other great options are pre-baking muffins, egg cups, or homemade granola bars and taking 1 or 2 each day for a snack. I hope you found these ideas helpful. If you are looking for more information, I would love to have you fill out the form below to subscribe and receive my free Clean Eating Basics Checklist. 7 fall Thrillers that you won't be able to put down! How to tackle your "to read" list - and still keep it fun! Are you just starting a new exercise program or healthy eating? Or are you starting again after a long break? Here are my tips for starting and staying motivated! If you are new to exercise, you don’t need to start exercising 6 or 7 days a week. Your body will need time to adjust to your new routine, and to prevent injury. When I re-started after an almost 4 year break, my goal was 3-4 days a week for 30 minutes. That was more than enough to make me feel great, and gave my body time to adjust! If you are starting to eat healthier, the same idea works. It’s really hard to completely overhaul your diet all at once and not have any physical or mental side affects from it. Your mind and body also needs time to adjust to new foods and a new way of eating, so gradual changes over time will still add up to big changes. Start by replacing one soda per day with a glass of water for a week. The next week, you could focus on replacing your not-so-healthy snacks with a healthier option. From there, focus on making healthier dinners, then lunches and breakfasts. You’ll be amazed at how these changes will add up over time! If you want to see changes, make your workout a priority by scheduling it like an appointment. Look at your daily schedule and see when you can sacrifice 30 minutes of time for exercise. 30 minutes of sleep? 30 minutes of TV at night? 30 minutes of mindlessly scrolling social media? It’s not always fun when you’re in the middle of your workout, sweaty, out of breath and feeling exhausted. But the feeling of accomplishment when you are done is amazing and for me, makes it all worth it. Try focusing on that “reward” when you are struggling, or on days when you just don’t feel motivated. What was your reason for starting a new fitness program or way of eating? Use that reason as motivation to keep going. Visualize what it feels like to see changes and positive results – really think about how that will make you feel. Nothing is more motivating that loving what you are doing. If you absolutely hate your workout, of course you won’t be motivated! I wouldn’t be, either! It’s so much easier to find something you love and look forward to doing to keep you going. Do you like dancing? Pilates and yoga? Weight training? Running or walking? Experiment until you find something you enjoy. This is huge! It’s so much harder to skip days or slack off when you know there are other people waiting to hear from you. This can be as simple as texting your friend, asking them to hold you accountable to your workout at a specific time; or joining an online group of people who are supporting and checking in with each other. These people are also there to help you when you’re struggling or have questions. You are doing a great job! Keep telling yourself that!